TYRONE McKenna is targeting titles and the West Belfast man, who has signed a management deal with MGM Marbella will get his first taste of action this year at the Roadstone Club in Clondalkin, Dublin on Friday when he takes on Lithuania’s, Arvydas Trizno. 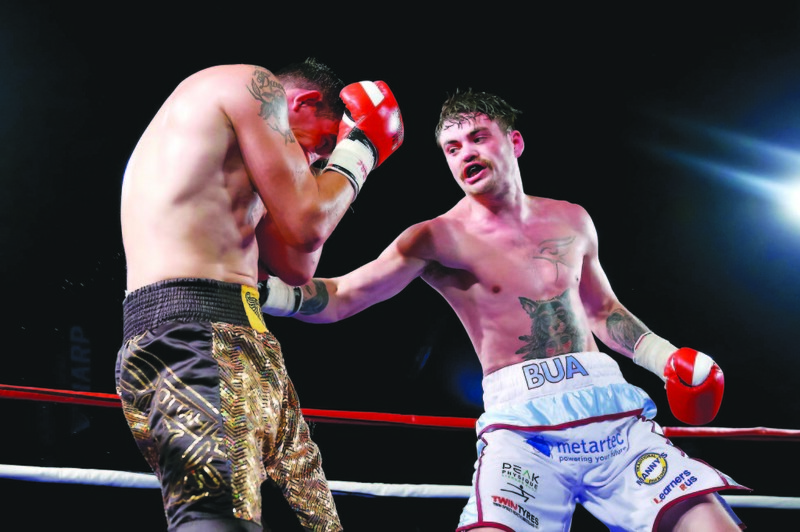 McKenna was last in action back in August at the Feile Marquee when scoring a points win over Kevin McCauley to improve to 9-0, but with the backing of the rising Marbella-based management outfit, he hopes to turn his potential into titles. “I’m in Marbella full-time now and will be out there for every camp and training with Danny Vaughan,” reports the 25 year-old southpaw. “I have been working well with him and we have ben gelling on the pads. An extremely tall welterweight who has a good skill-set and ability to mix it up, McKenna will shake the cobwebs off on Friday against before looking to pick it up, possibly in April in front of the Box Nation cameras back in Dublin. McKenna explains that his performance in sparring against a world title challenger helped him get the contract offer. “I had been talking with them for a while and was meant to head over in October, but went to London for a training camp instead,” he explained. “It came up again when Derry Matthews was announced to fight (WBO lightweight champion) Terry Flanaghan – a southpaw – so I said I would go over to spar him. Luckily enough, they liked me and signed me. “I sat down and we planned the whole of 2016 with them. The Lenadoon man is keen to get into the title mix as soon as possible having already served his apprenticeship and says he is ready to step up immediately. “We have been talking about belts straight away,” he confirmed. “The plan is to get this one out of the way then go straight into eight and ten rounders, so hopefully I will have a few belts by the end of the year. This Friday should be something of a formality as McKenna is expected to bring his perfect record to 10-0 against Trizno (22-49-2) and says it is a good way to get back into the groove ahead of a potentially big 2016.